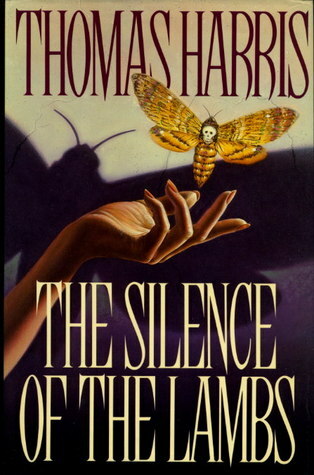 Silence of the Lambs is the second book in the Hannibal Lecter series by Thomas Harris. I knew that it was the second book, but by mistake I got this one from the library instead of the first book, Red Dragon. Luckily I figured out that it doesn’t matter for the story if you haven’t read the first book. Synopsis: There’s a killer on the loose who knows that beauty is only skin deep, and a trainee investigator who’s trying to save her own hide. The only man that can help is locked in an asylum. But he’s willing to put a brave face on – if it will help him escape. I had already seen the movie, and the book is about identical to the movie. Some bits are kept out of the movie, but the whole story is the same. This means that I already could guess what would happen. I didn’t mind this and think it is amazing that a book can be made into a movie so well. The book was still awesome to read. I am a fan of anything with murder in it (sounds a little worrying, haha) and this is a perfect book for that. The murders are absolutely twisted and cruel and they make me creeped out by the thought of it. Dr. Lecter is such an interesting character. He is so smart and his abilities are incredible. He smells everything and sees every single detail. Then the dark side of him. The cannibal side. Hannibal is manipulative and ruthless. He bends people the way he wants and finds their weaknesses and uses them in his advantage. The cannibal parts are told in a detailed way that makes you see it in your mind. I found the part where Hannibal gets out of the cage very gruesome and scary. Overall it is a great book that contains psychology, murder and detective. The characters are interesting and the story is great. The emotions of the characters are realistic, like the way Clarice and other officers are dealing with dead bodies. They don’t just act like nothing is special, but get an urge to look away and maybe throw up.